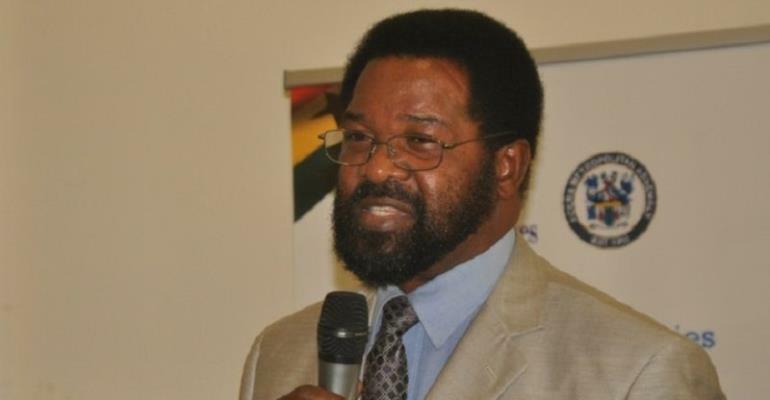 Former Accra Metropolitan Assembly (AMA) Mayor and now Member of Parliament (MP) for Ablekuma South constituency, Dr. Alfred Okoe Vanderpuije is calling on the government to tackle Ghana’s perennial floods with all seriousness. His call follows yesterday’s heavy rainfall that led to the death of at least 5 people. The rain which lasted for about 45 minutes in parts of Accra caused severe flooding in some number of places. The affected areas were mostly parts of Accra with a poor drainage system and houses built at waterlogged areas. Sharing his thoughts on class FM today, April 7, 2019, on what seems to be an unending problem, the former AMA boss indicated that it is about time government tackled the issue in order to solve it once and for all. According to Dr. Okoe Vanderpuije, the revenues allocated to the various assemblies will not be enough to solve the flooding hence government must adjust its budget to resolve this difficult challenge. “So if we are calling on the AMA to be up and doing, the AMA is not responsible for all these areas that we know. I have been in that office before and I can tell you that we need to tackle these issues as a national problem. The budget of this country must create space for the needed works should be done in the capital city. AMA’s revenue and other districts revenue can supplement but we need to see it as a national exercise”, Dr. Vanderpuije said. He disagrees with the National Disaster Management Organization’s (NADMO’s) assertion that they have been desilting drainages across Accra ahead of the rainy season to prevent flooding. Mr Vanderpuye noted that he has not seen any activity of that sort and has dared NADMO to publish a list of drainages they have desilted so far. “If anybody from NADMO is telling you that they have engaged in desilting the drains, they should publish it and let us know. I personally haven’t seen any area in Accra or its environs being desilted. I haven’t seen it”, he added.